The American Institute of Architecture Students (AIAS) is proud to announce a new partnership with the American Galvanizers Association (AGA). The AGA’s goal is to educate students about the hot-dip galvanizing process. For the past several years, the AGA has put on the ‘Can you Dip It Showdown’, a video competition to show school pride while learning about hot-dip galvanized steel. Additionally, the AGA visits campuses across the United States and Canada to educate future architects through the Galvanize Your Campus program. 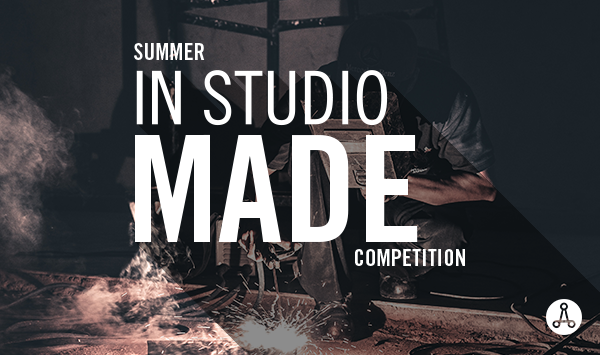 After the success of AIAS’ launch of the In Studio Competitions, the AGA has decided to partner with the AIAS to bring a new summer competition, the In Studio: Made Competition. With this competition, the AIAS and AGA are looking for members to share their sketches and renderings to showcase the use of galvanized steel in a unique way. The competition asks students to research the design and fabrication properties of hot-dip galvanizing and then sketch/model a sculpture, building façade, parking garage, outdoor recreation structure, etc. that could be physically built out of hot-dip galvanizing steel. The AGA has also proposed that the top three winners could potentially have their projects physically built. “The American Galvanizers Association (AGA) considers our ongoing relationship with AIAS and emerging architecture professionals invaluable. We are excited to host the In Studio: Made Competition, because it inspires architecture students to learn about hot-dip galvanizing and how it could be used in their future steel designs. In past AIAS competitions, we have been impressed with the students’ creativity and eagerness to learn, and we expect nothing less from this new program,” said Melissa Lindsley, Marketing Director for AGA. The competition will run from June 1 – July 31, 2018, and AIAS members will be provided with tips, tricks, and resources about the hot-dip galvanizing process throughout the competition to aid in their sketches. The top submissions will be showcased bi-weekly on the AIAS Instagram account, and the top three winners will be selected in August to be showcased on the AIAS website, social media channels, and the AGA outlets. The top three winners may have their projects physically built at the AGA’s discretion. “The AGA has been a fantastic and creative partner with the AIAS, sponsoring and hosting the ‘Can You Dip It’ Challenge over the last several years. This year we’re pleased to continue that creativity with a new competition, ‘In Studio: Made’, which blends the innovation of AIAS members with the materials focus that AGA fosters,” said Nick Serfass, FAIA, Executive Director of the AIAS. The In Studio: Made Competition will kick off on June 1, 2018.